Hello and welcome to the unofficial website for the Berserk UK Advanced Squad Leader Tournament. Now in it’s seventh year Berserk has been run from day one by two enigmatic gentlemen by the names of Trevor Edwards and Steve Thomas. As both hail from Preston in Lancashire they decided that the ideal location for the UK’s second tournament (the other UK ASL tournament is Intensive Fire) would be the sunny seaside resort of Blackpool, nearby on the coast. The tournament has, after a brief appearance at the Rosecrae Hotel, taken up permanent residence at the Skye Hotel, a lovely family hotel, which those of us who have attended regularly have watched improve over the years, situated on the South Shore area of the town. Blackpool has been described as the ‘Vegas of the North’ and, with it’s night life, casinos and the famous ‘Pepsi Max’ rollercoaster, certainly lives up to its reputation. Ever since the 1999 competition I have been taking photographs of the event, the prizes and the players who attended. Within this site you’ll find those photos and new for 2003 I have included photographs showing off some of the more important places of interest in Blackpool for discerning ASL players. For each year I have also provided the final placings for all that competed. Unfortunately I was unable to get all the results for 2002 so if anyone out there has them I would appreciate if you could contact me so I may complete the results pages. Due to personal committments there will be no Berserk 2004 tournament. 'I have some news that is bound to come as a disappointment to very many of our friends who have attended the Berserk! ASL tourneys over the last seven years. For reasons of a personal nature, Steve Thomas and myself have decided that we will not be running an event in 2004. This is not a decision that has been made lightly and is more down to myself than Steve, so I bear the primary responsibility for this outcome. 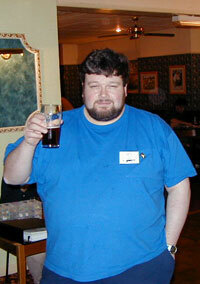 We do intend to resume annual tournaments starting in the spring of 2005 under the Berserk! banner, with the same format as has been used before. Obviously this leaves a hole in the calendar of the UK & European ASL scene. We invite anyone else who may be so inclined to run an event instead. You're free to use the same venue, format and time if you so desire but please don't use the Berserk! title, that remains a signature of our event. If such an event were to be run by someone next spring I would certainly expect to attend as a player and to offer my full support. I hope I speak for all in the community in wishing Trevor and Steve well. 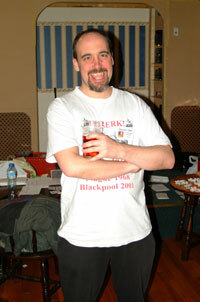 As of 2004 The Blackpool Tournament became ASL Heroes, run by Pete Phillips. Now the legal stuff. All the contents of this website are ©1999 I Pollard. Advanced Squad Leader is the trademark for the WWII tactical combat game published by MultiMan Publishing Inc. Permission is given by me for any of the tournament photos to be used by the following people: the tournament organisers, Pete Phillipps to use in View From The Trenches magazine and website and Derek Tocher for use in the UK ASL Ladder. Anyone else who wishes to use the photos for commercial use can e-mail me for permission.